Bulk Bag Fillers - R-Cap Process Equipment, Inc. 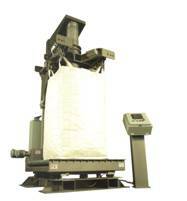 Bulk bag filling systems are custom designed to meet specific application requirements. We offer a complete range of super sack filling solutions from simple, durable units for low volume filling, to a highly sophisticated, automated systems for high volume production.